Apps, also known as widgets, are the embedded objects that can be inserted in the body, sidebar or even footer of your website. These apps provide multiple channels to broadcast your website and get more visits. These apps also help your visitors follow your website using those channels and stay updated. In addition to the existing widgets, you can insert other third party iframe objects using the "Embed" element. Any content on your webpages that is subject to change, is classified as dynamic content. Such contents become out-dated unless they are frequently updated. For instance, every time you launch a new product, it should be added to the product portfolio page. Every time a customer says something nice about your product or content, it needs to be included on the customer testimonial page. Dynamic content is the easiest way to keep your content up to date, without having to deal with HTML. 2. A dialog box appears with a list of all your databases. 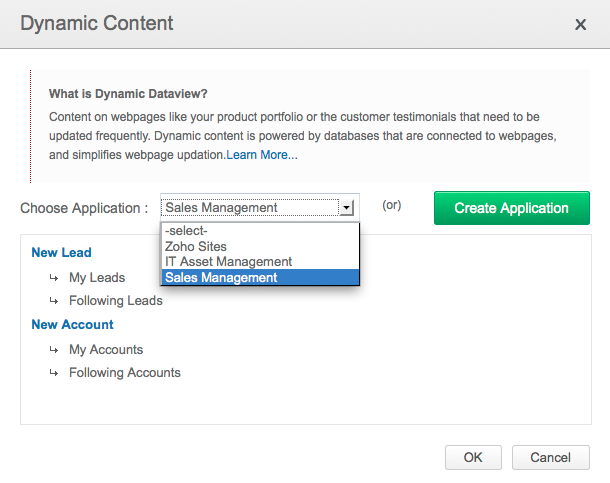 Select the appropriate application, and the database within that application which holds your data. Click OK to proceed. Your database gets linked to your webpage. As you enter data into your database, it will be instantly displayed on your webpage, in the desired layout. 2. 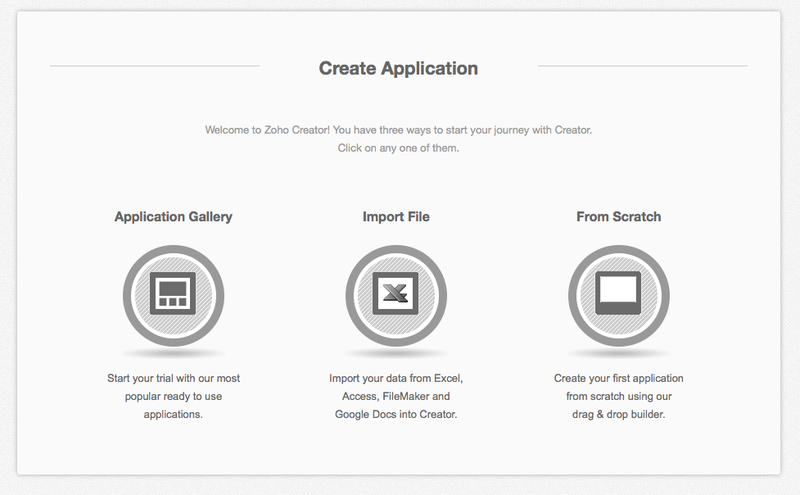 Click on Create Application button. 3. 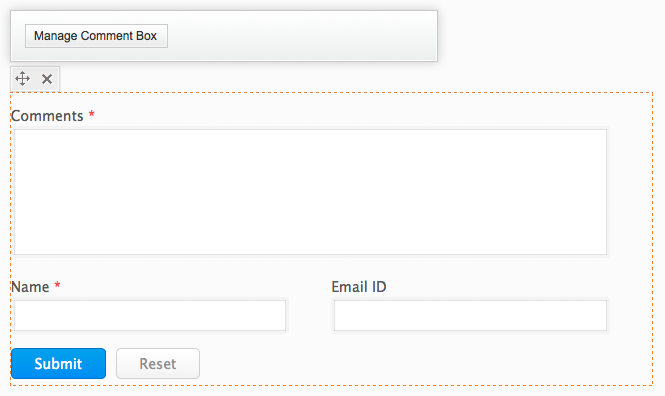 Specify names for your application and form, and click on 'Create Now' button. 4. You'll then be taken to the form builder. All the required form fields will be listed on the left. Drag and drop the necessary ones in the builder on the right, and specify a label name. 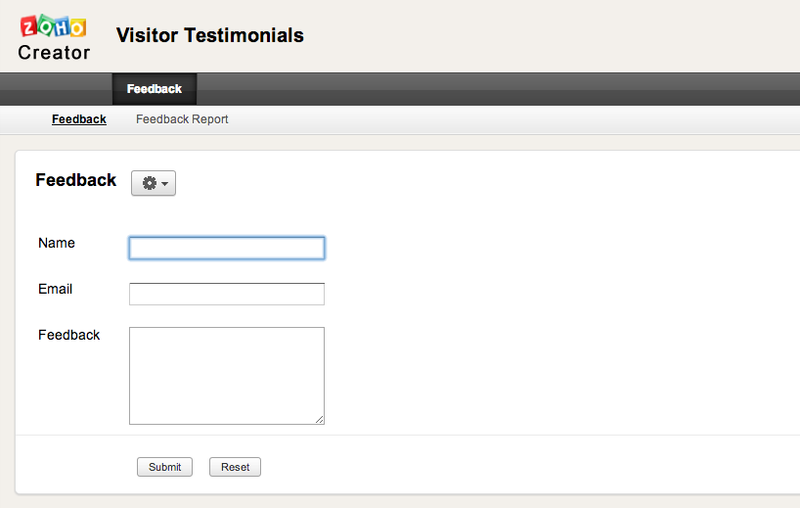 The comment box is a social feature where your visitors can express about their opinion towards the page content. It makes the website page more interactive. If you do not want comments to be published without your approval, enable moderation. Once moderation is enabled, user comments can be posted on your website only after you approve. 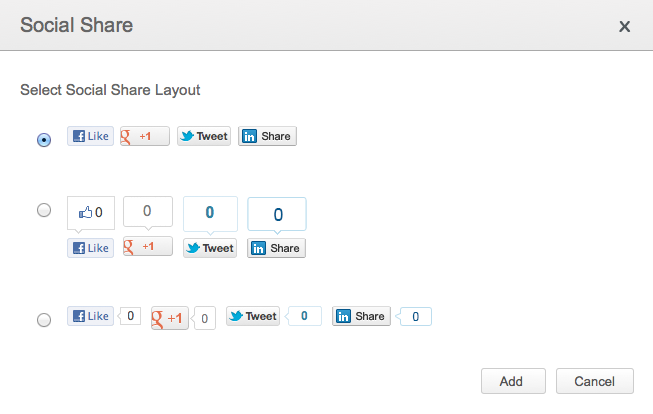 The blog page will have a comment box by default, which you can enable or disable. This comment box widget can be used on all pages, except the blog page as that had default comment box. 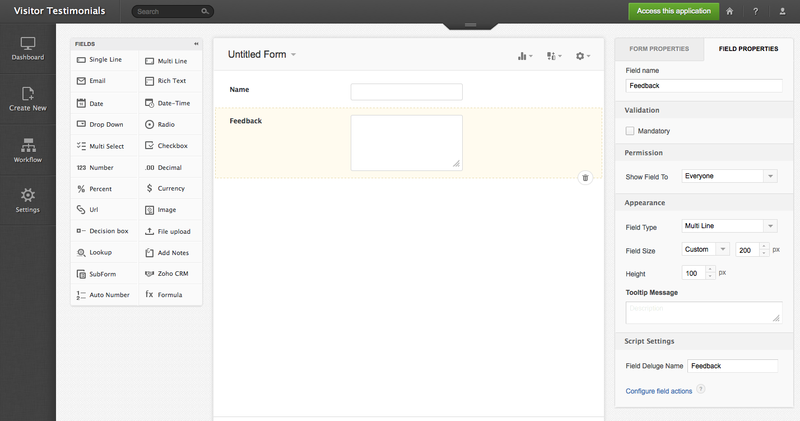 Comments and Name fields are mandatory for users to be able to submit their comments. You have the option to set the number of comments per page and also turn on email notification for comments that get posted on your website. There is no limit on the number of comment boxes that can be added to a specific webpage or the entire website. PayPal account is your payment gateway for any financial transaction that takes place to purchase products from your website or donate funds for your cause. 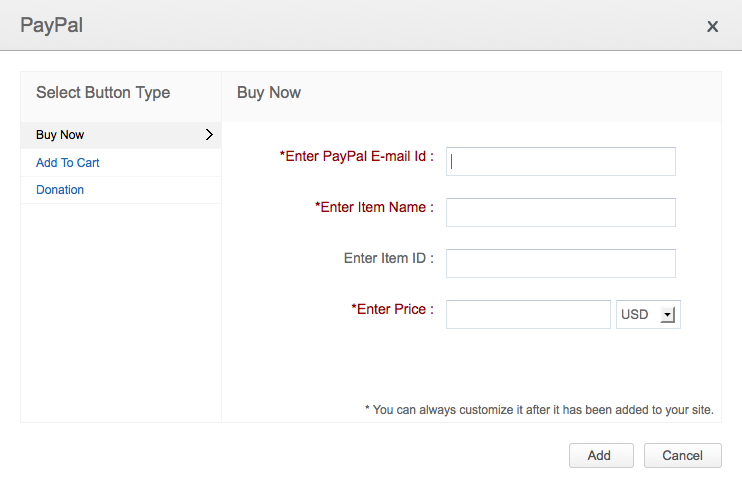 You just have to add the payment button and configure your PayPal account. 1. Drag the PayPal app from the apps tab. 2. Select type of button you wish to add to your site. 3. Configure your PayPal email address. If you do not have a PayPal account yet, create one here. 4. Fill in the name, ID and price and the billing currency of the item you are selling. 1. Add the PayPal app to your site. 2. Select "Donation" from the options on the left. 3. Specify your PayPal account email address and your organization name. 4. You can also fix amount or leave it to the donor. 5. Click on "Add" to insert the button. Widgets like Google+ provide an easy and prominent way to allow users to share your site with their connections or cirlces. 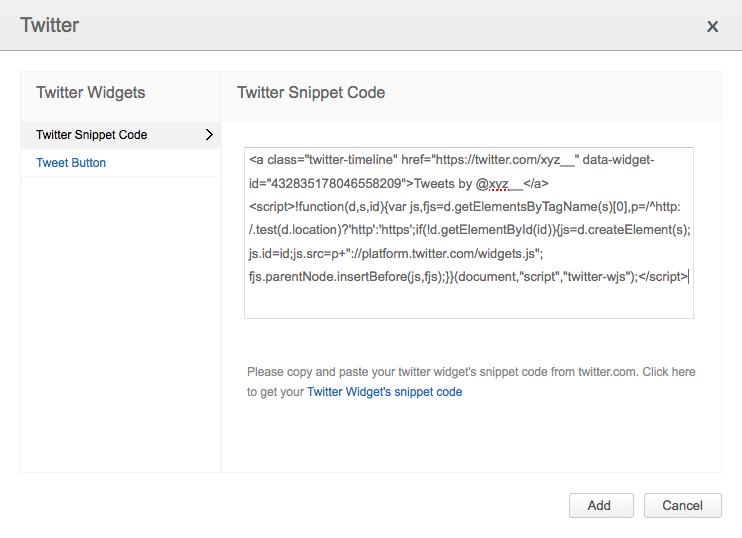 These widgets can drive new users to your site. You website visitors can click on the Google+ widget on your website and publicly recommened your website to their circles. Visitors to your website will be able to add you as a friend right from your website itself, and in the case of a fan page, like it. When someone comments on your site, it is posted on their facebook profile, and if their friends reply to their facebook post, they are synchronized with the comment on your site. It only requires your visitors to log-in to facebook. 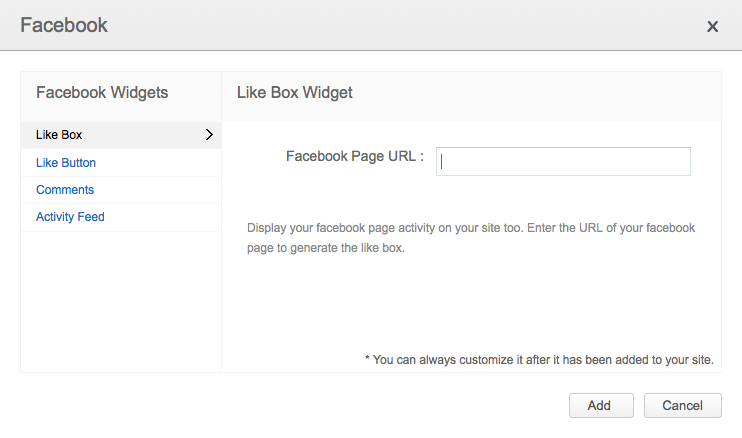 With facebook widget, you can add any of the following to your website. 2. A like button to spread the link to your site. Facebook lets you customize the color scheme and width of your widget, and optionally display faces of your fans and your recent facebook activity. You can configure these after adding the widget. Once it has been inserted into your site, click on the Facebook widget, click on 'Edit' and you can decide whether or not to show faces and streams and also set the color scheme. Similar to the facebook profile of your site, a twitter profile can also be created. It is an interactive widget where your visitors will be able to retweet, reply to or favorite your tweets, without leaving your website. This widget behaves just like any other Twitter account. The LinkedIn Widget enables visitors of your website to keep track of your LinkedIn posts without having to leave your website. Adding this widget to your website will enable users to share your website with professional audience in LinkedIn, and drive more traffic back to your site. 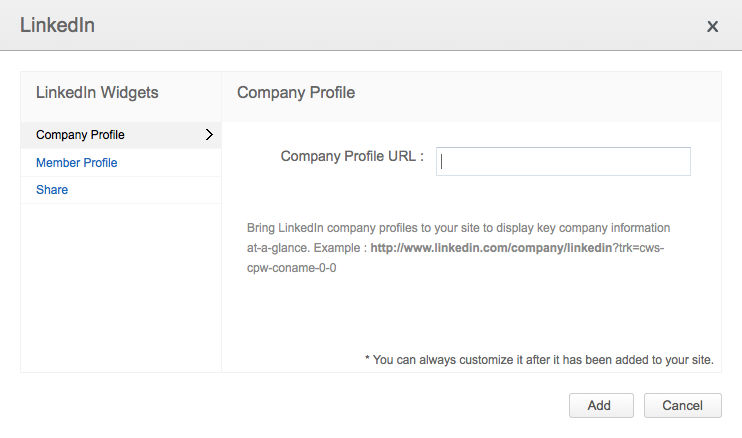 Bring LinkedIn company profiles to your site to display key company information and help users discover common professional connections. The Social Share widget allows your visitors to share your website on their social spaces like Facebook, Google+, LinkedIn and Twitter. Using these buttons on your website enable them to evangelize your website. You can also choose different layouts for those buttons. 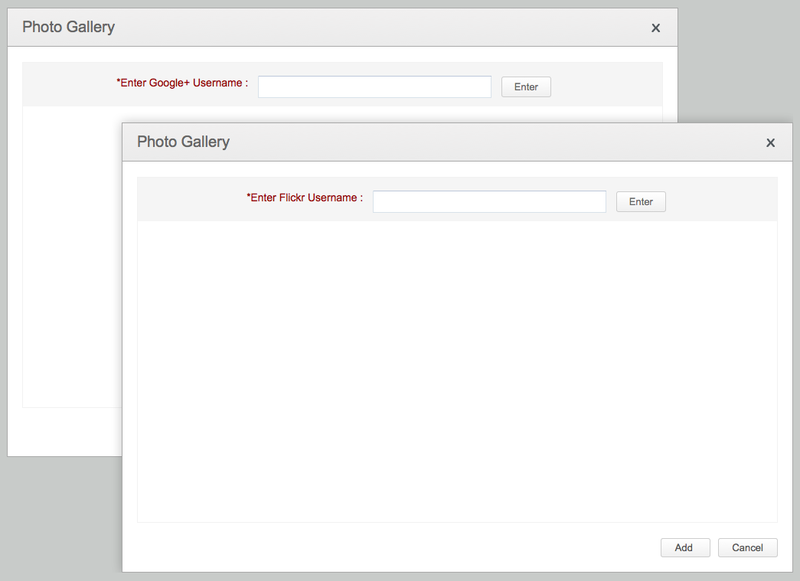 You can fetch images from your Google+ or Flickr account to your website. Note that only the public photos will be fetched.